Red Eye brews their beer on-site in downtown Wausau and serves up artisan pizzas along with a full menu to go with them, emphasizing fresh ingredients and sustainability in both their food and their beer. Speaking of sustainability, they actually use a solar thermal hot water system to heat their water – the first brewery in Wisconsin to use this method. Brews at Red Eye include the Bloom Belgian Wheat; Thrust, an American-style IPA; Scarlet 7, a Belgian Dubbel; Charlatan, an Imperial Stout; Dyna-mighty Wheat; Lemongrass Rye; and Fast Eddy’s Anniversary Ale, a Belgian-style Pale Ale. They’re open six days a week, closed on Sunday. 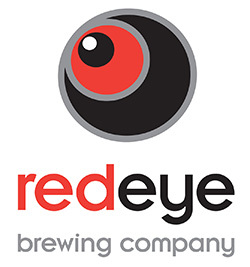 You’ll find Red Eye in Wausau’s downtown area, along Highway 52/6th Street northbound, which is also northbound Business U.S. 51. I-39/U.S. 51 is just a few miles to the west, as is Highway 29 as it winds around the city.